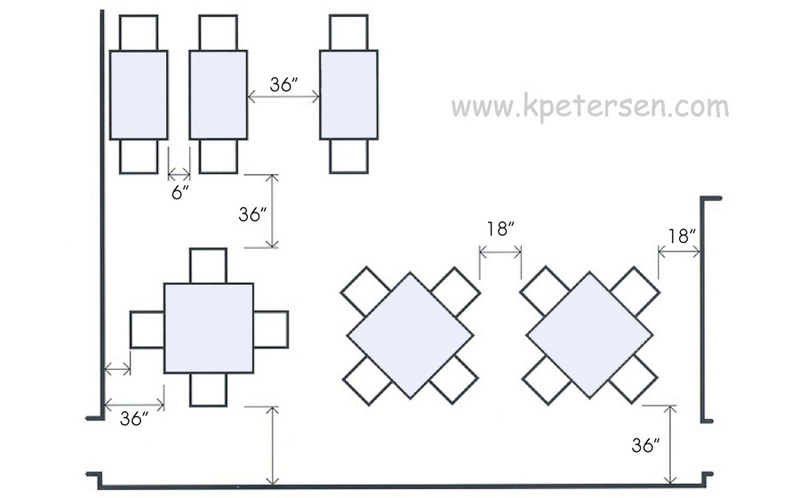 Tables: What Size Do You Need? What Size Tables Do You Need? 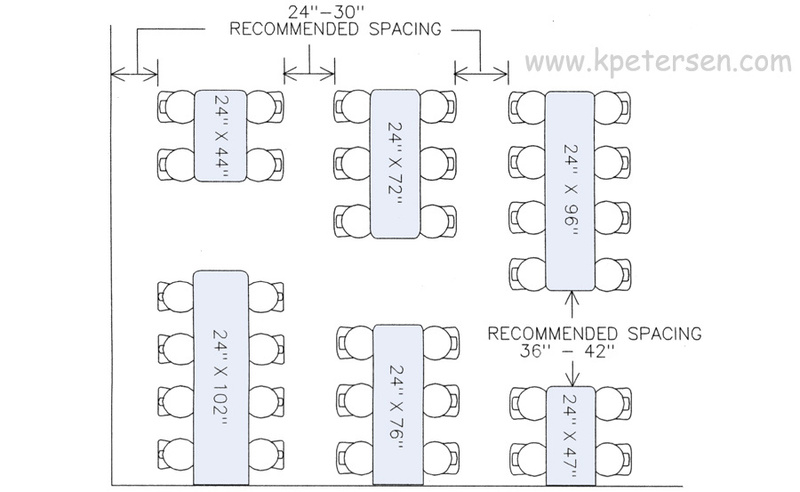 The drawings below offer some basic guidelines for restaurant and cafeteria table capacities. chairs are used, adjust accordingly. Avoid using large dedicated tables (eight-person or larger) in small restaurants to save space and seating capacity. Use small tables in small restaurants and then combine them to accommodate parties of varying sizes. 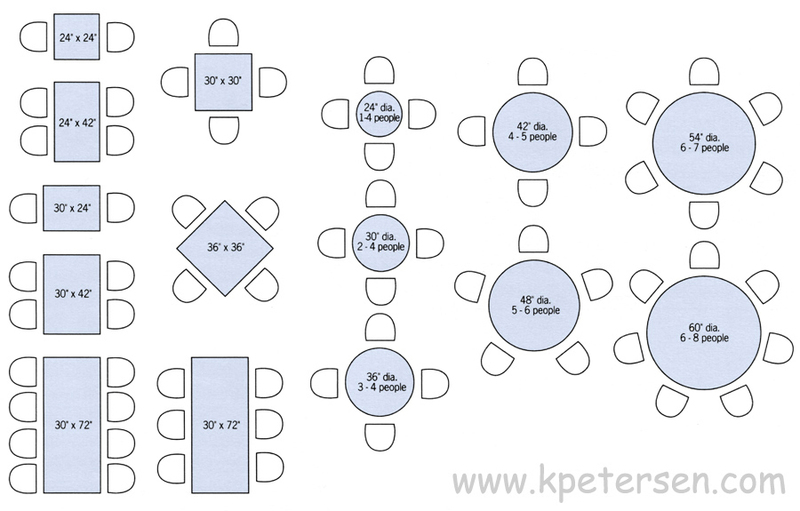 Be aware that combining tables may cause some temporary seating capacity loss (e.g. two 4-person tables combined to seat only six customers). Using some large capacity dedicated tables in larger restaurants creates "special" areas, helps to enhance overall ambiance and reduces customer discomfort caused by crowding many small tables into a large space. In larger restaurants there will often be sufficient numbers of large parties to offset the seating capacity loss caused by large size restaurant tables. 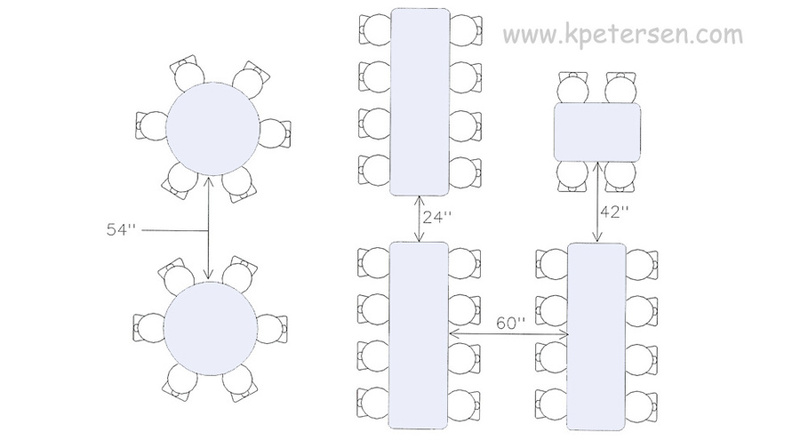 Room size, shape and function determine the layout of tables in a room. For table spacing in public places always refer to local codes for restrictions and safety requirements. The drawings above and below offer some general, customary aisle allowances. For a comfortable and pleasant dining experience there can never be too much room. 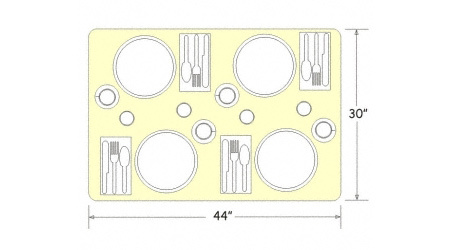 For banquet room and cafeteria lunchroom seating allow a minimum of 54" between round tables and 60" between rectangular tables for chair and 24" service space. Main traffic aisles need to be larger. 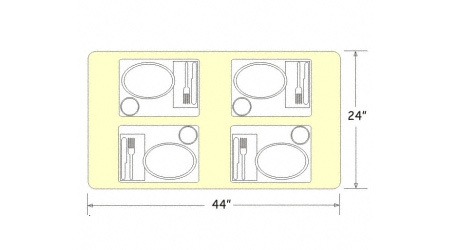 The architectural standard for dining suggests that 300 square inches be allowed per diner. The table on the left (above) would be an appropriate size for fast food food restaurants, cafe and coffee shop dining. per diner and you arrive at more than adequate table space for four persons. suggesting that this size table would be appropriate only for fast food restaurants or the most basic, quick-serve coffee shop, diner, employee lunchroom or the like. Some menus require larger than the recommended minimum 300 square inches per diner. 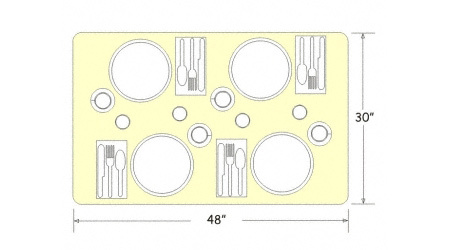 Fine dining restaurants, Pizza restaurants, Mexican restaurants and many Asian style restaurants require more table space for utensils, condiments, serving platters and other serving style equipment. 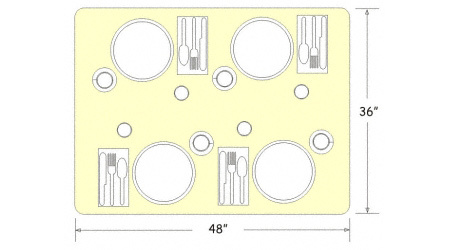 Some food service operations, like hospital cafeterias and school cafeterias use trays. The primary considerations for determining the table top size you need is WHAT you are serving your customers and HOW you are serving them. If you have space limitations, consider placing fewer tables in the room rather than creating an unpleasant experience for your customers and additional problems for your wait staff.